BSN® protein powders, such as SYNTHA-6® and SYNTHA-6® ISOLATE, are comprised primarily of protein and contain small amounts of fats and carbohydrates. These protein powders are recommended to supplement protein intake through-out the day and as a post workout recovery shake. 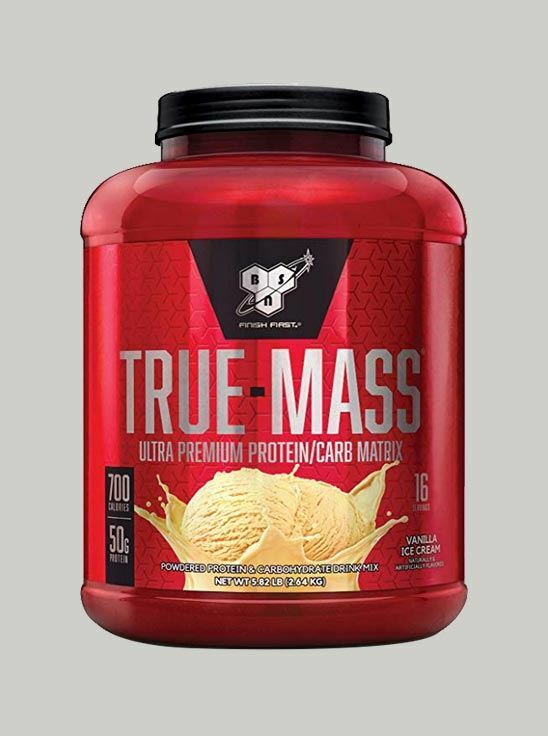 While TRUE-MASS® is a used for these applications as well, its strength lies in its formula of an approximately 2-to-1 ratio of carbohydrates to protein, which is geared towards athletes who require an above normal caloric intake or who have a hard time meeting their caloric intake in a given day. Mix 3 scoops with 16 oz of cold water or beverage of your choice. Vary the amount of liquid to achieve desired consistency. Drink 2-4 servings daily or as needed to satisfy your protein or mass gaining requirements. To increase your protein and calorie intake per serving and to acheive an amazing milk shake taste, use milk.